My wife has a Progolf electric trolley that looks exactly like a Prorider trolley. It has a T-Bar handle with stop//start and distance control buttons but will not work at all. Yes this should fit your trolley. Some PCB (handle circuits) had different features/functions on the handle control and hence different circuit boards. If your golf trolley has the same functions like lights for battery power, distance buttons, on/off, stop/start, LED speed numbers then this will be same circuit will be most likely have the S1 controller under the battery tray. It is always possible to check the PCB by opening up the the screws in the back of the handle to check the golf trolley handle circuit looks the same as in our store photos. The newer circuits we sell have complete rubber covers now instead of just the rubber contact cap on each micro-switch. The newer circuits we sell have complete rubber covers now instead of just the rubber contact cap on each micro-switch. The golf trolley T handle circuit board can be purchased online in the store. 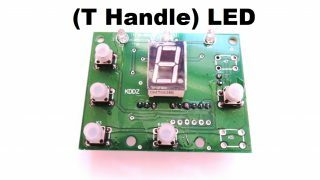 The golf trolley T handle circuit board can be purchased online in the store. 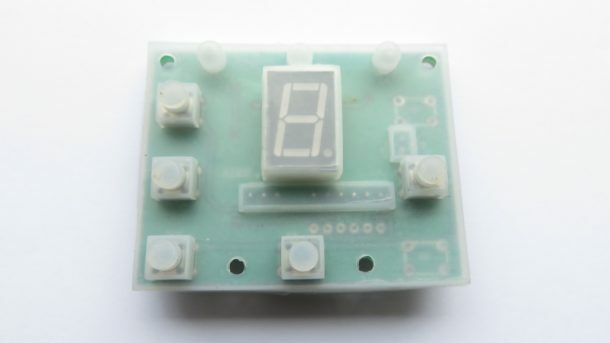 It is important to remember that this PCB is compatible with the S1D… S1G… controller box (situated under the battery tray) . The original S1 controllers were silver in colour the newer 9 speed upgrade replacement is smaller and black in colour, but is totally compatible with all the rectangular circuits described above. Filed under PCB Handle Circuit.